Oxford-based Orchard Hill have been pretty quiet recently but they've just released a great cover of Miley Cyrus' Wrecking Ball. If you're not familiar with the pop/rock five-piece, you should be! 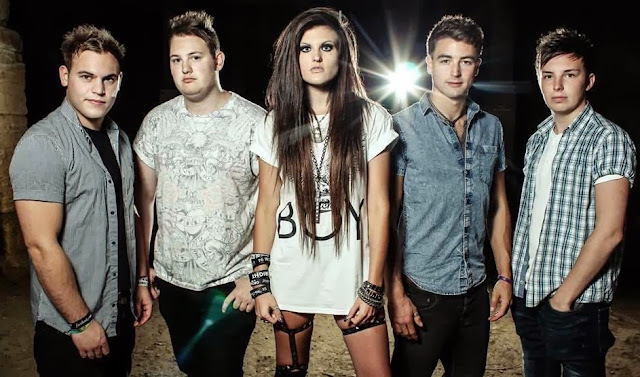 Fronted by Tiff Nicholson, the band have supported Room 94, Taking Hayley and In Hindsight as well as having their own headline tour in Summer 2013. They performed Wrecking Ball back in December at Festive-All and it's great to finally hear a studio version. Many artists have tried - and failed - to cover this, but Orchard Hill's pop-rock take on it is certainly a successful one. It also involves no licking of hammers... never a bad thing! Take a listen to Orchard Hill's cover of Wrecking Ball below! You can purchase Orchard Hill's latest single 'Gravity' by clicking here. Keep up-to-date with the band on Facebook, Twitter and Youtube.